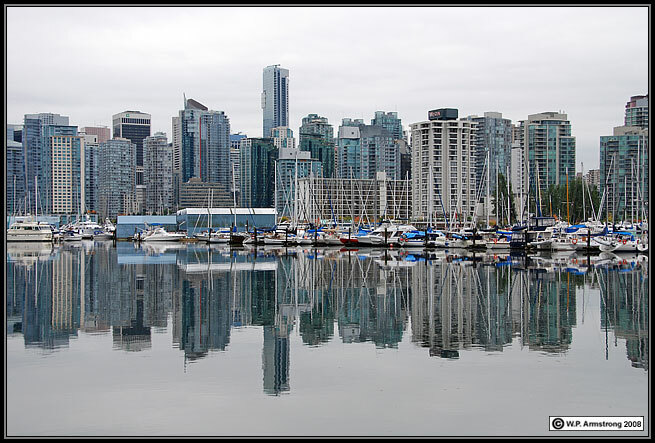 City of Vancouver where the Canadian railway trip began. 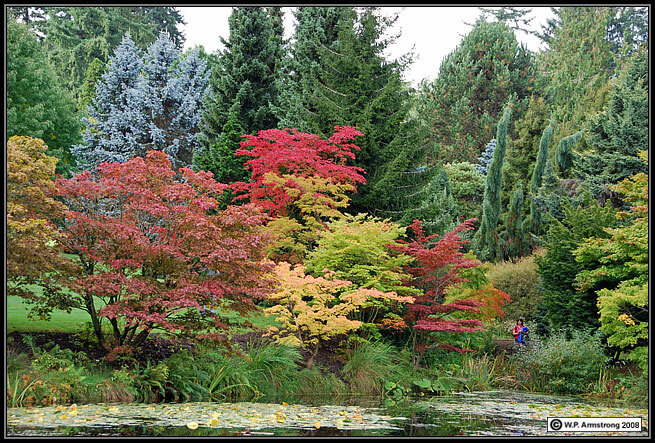 VanDusen Botanical Garden: A place to see conifers. 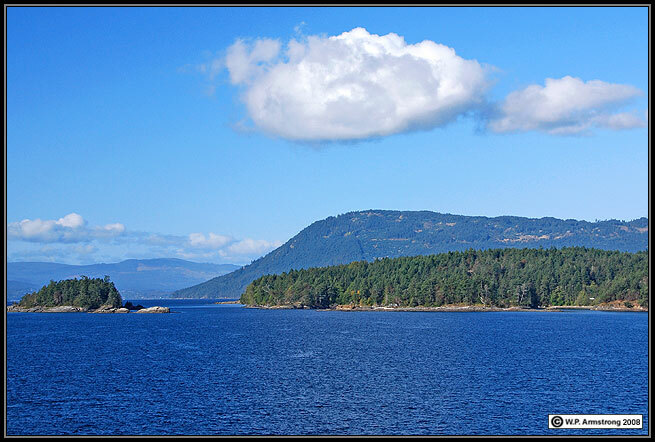 Islands in the Straight of Georgia en route to Vancouver Island. 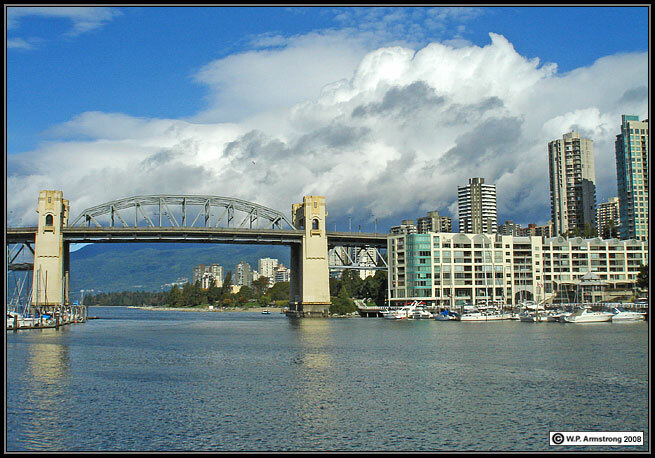 Granville Island and Granville Street Bridge. 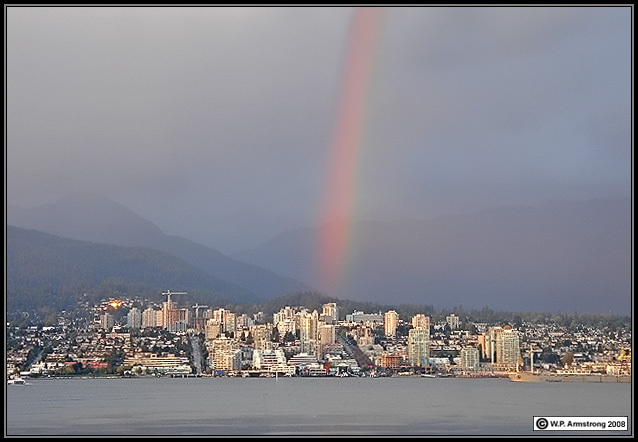 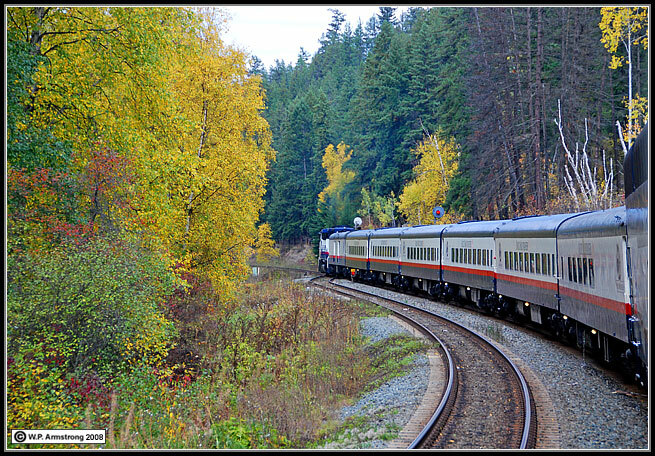 Evening in Vancouver before departure on the Rocky Mountaineer Train. 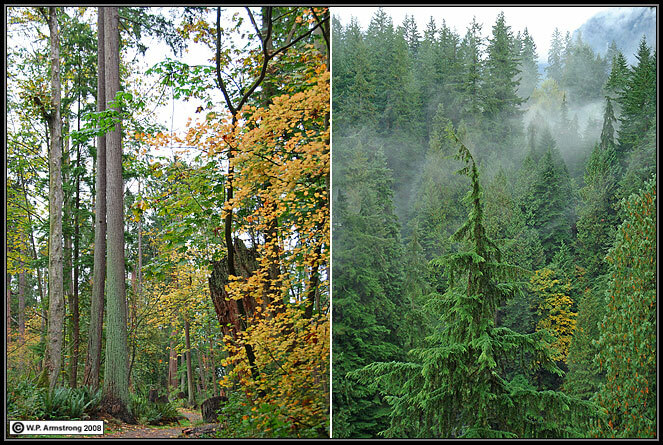 Dense forests of Douglas fir, maple, western hemlock and red cedar on a misty morning. 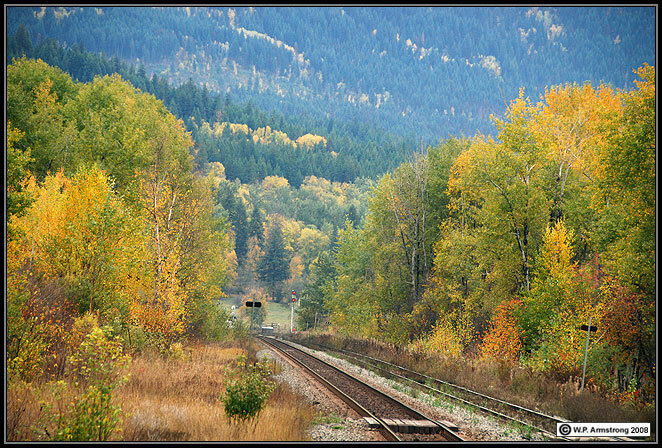 RR track lined with cottonwoods & maple, with distant slopes of spruce, fir & aspen. 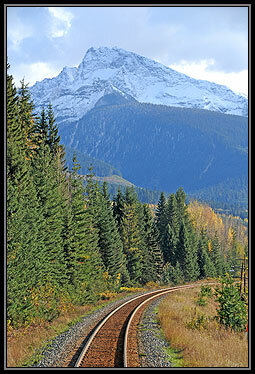 Rocky Mountaineer winding through forests of white spruce and cottonwoods. 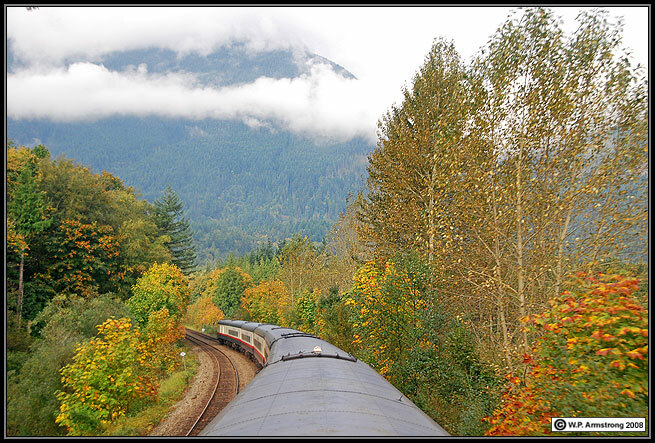 Rocky Mountaineer winding through low clouds, maples and cottonwoods. 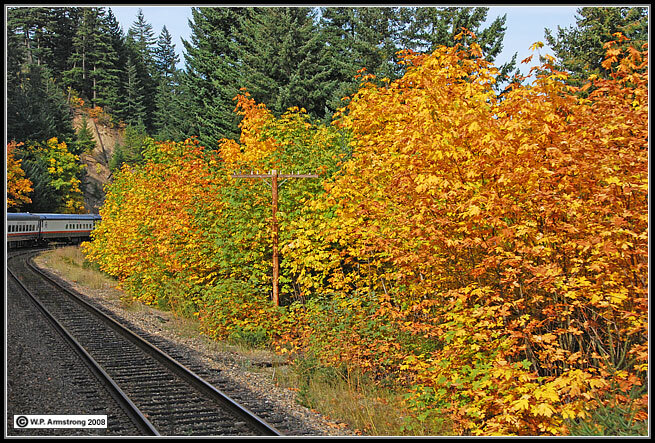 RR track lined with big-leaf maple (Acer macrophyllum). 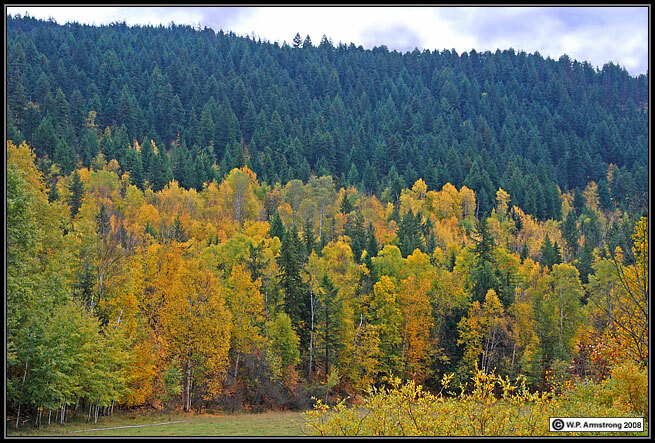 Dense forests of spruce, fir, cottonwoods and aspen. 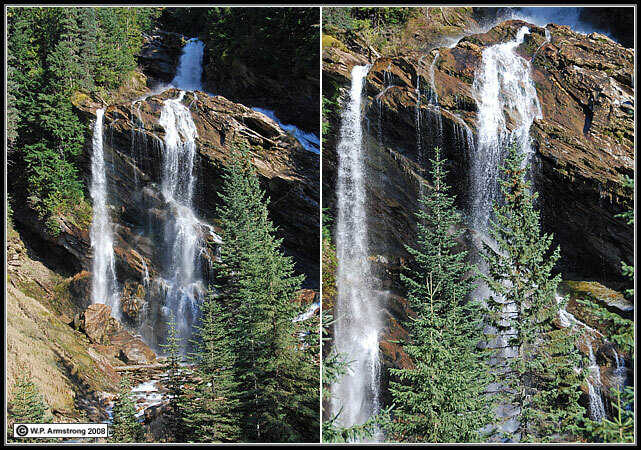 View of Pyramid Falls from the Rocky Mountaineer train. 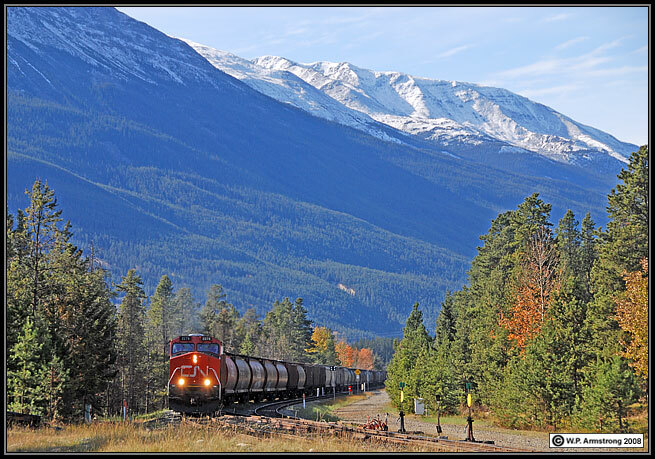 Freight train approaching the city of Jasper in the Canadian Rockies. 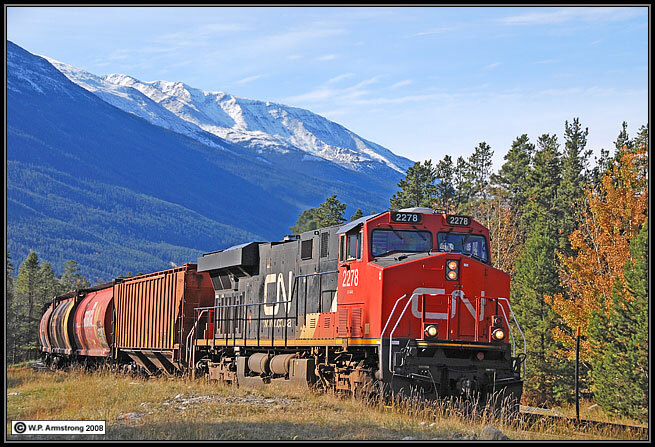 Freight train entering the city of Jasper in the Canadian Rockies. 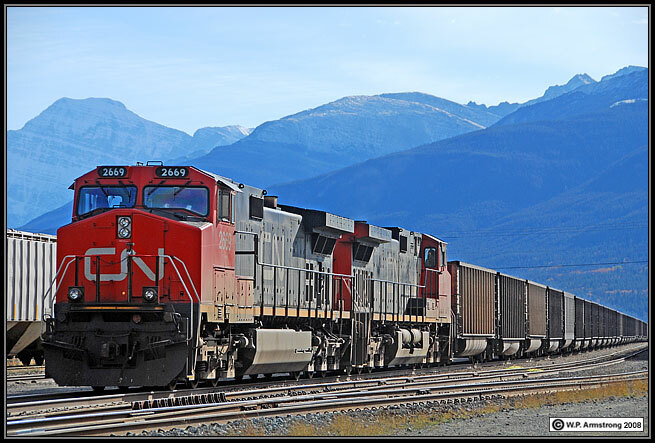 Another east-bound freight train leaving Jasper. 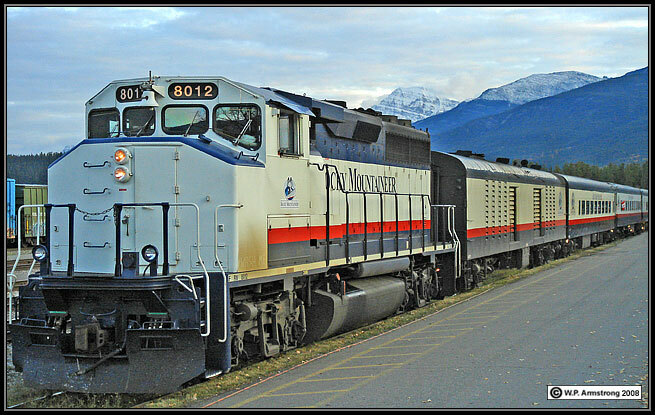 Powerful engine that pulled Rocky Mountaineer through the Canadian Rockies. 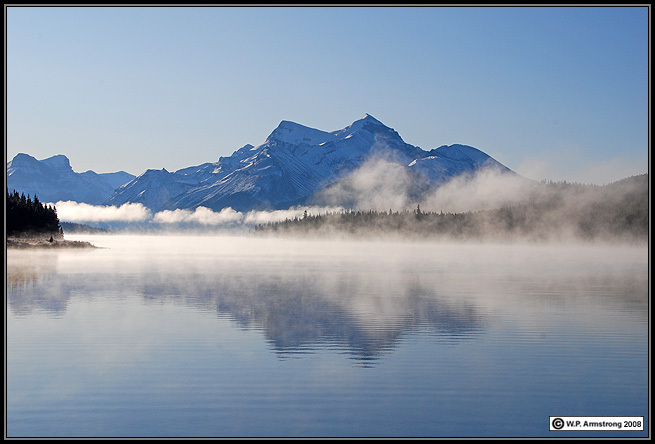 Early morning mist over pristine Maligne Lake. 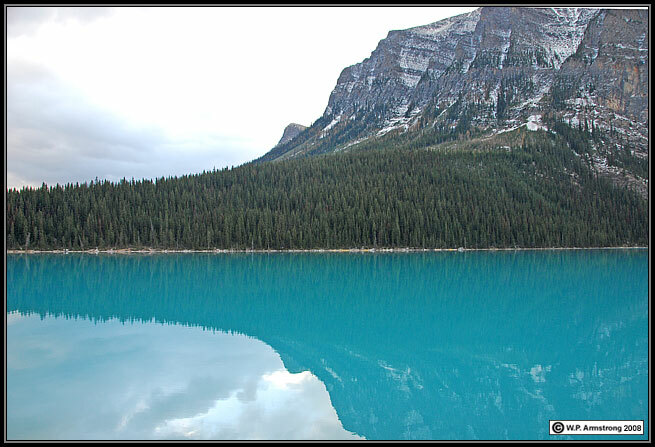 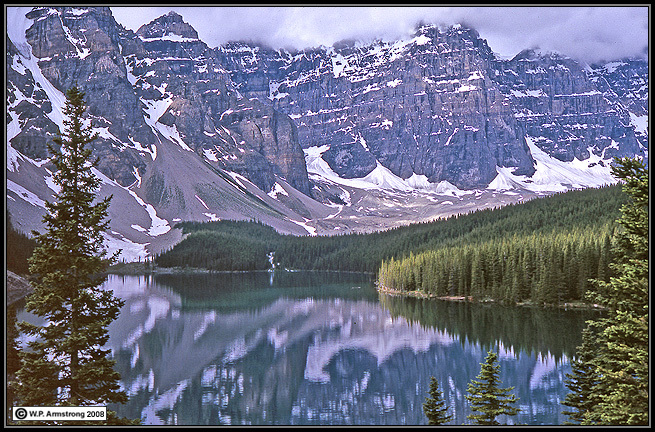 Early morning reflection on tourquoise, glacial water of Lake Louise. 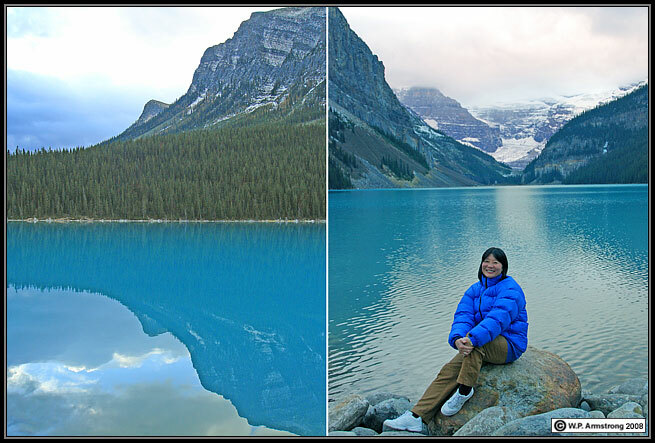 An overcast chilly (snowy) morning on Lake Louise. 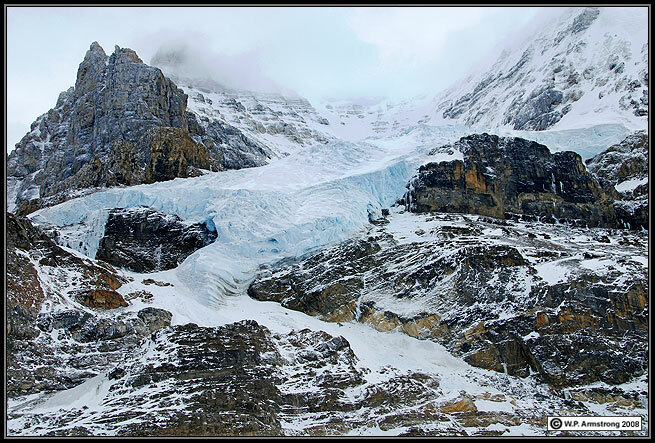 A massive hanging glacier above the Athabasca Glacier. 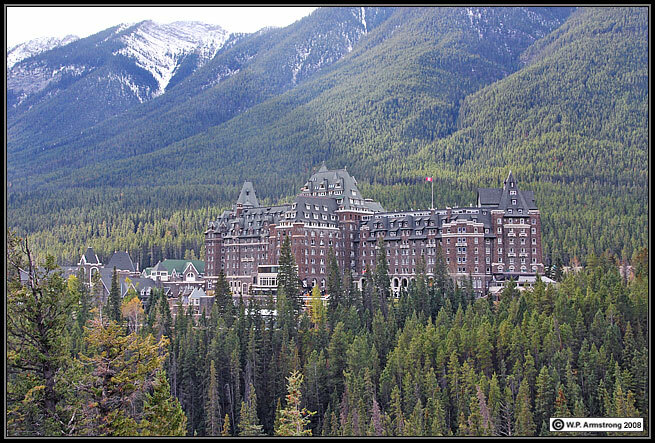 Our modest accomodations at the Banff Springs Hotel (Castle in the Forest).